With more than 7,000 islands, the Philippines have so much to offer that yet to be discovered. Care to explore? If you’re like most soon-to-be visitors, you’re familiar with Manila. But is this all there is to see? There are three places that stand out in my head that you may not be thinking about. 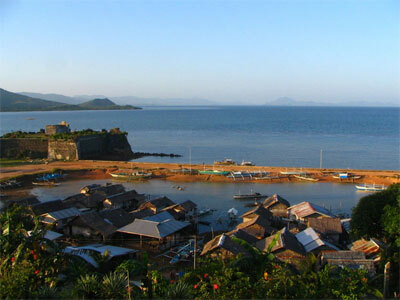 The first one is Palawan (pictured). This island is called the “Last Frontier” of the Philippines. It is the only island rated as the “Best Island Destination” in the East and Southeast Asia in 2007, by the National Geographic Traveler magazine. Palawan is also the cleanest city in the Philippines. The island of Palawan is more like a retreat—if peace and relaxation is what you’re looking for. It is not quite as commercialized as Boracay, so that means less people and the beach is less crowded. The waters of Palawan are perfect for diving, fishing, snorkeling and swimming. With water sports activities like that, no wonder it is getting to be a popular destination for locals and tourists alike. The wonderful nature this island has to offer is unbelievable. They have the best diving sites, including the WWII shipwrecks sunken by the US Navy in 1944. They also have a collection of exotic animals from Africa such as giraffes, zebras, elands, impalas and waterbucks mixed with local animals such as the Palawan bearcat, mouse deer, and pheasant peacock. To this day, they are free to roam around the island of Calauit. This is the Philippine’s version of the African safari. This is a really great sight to see in Palawan. Palawan is known for having some of the most beautiful beaches in the world. The El Nido is an isolated island separated from the main island. It has some of the best resorts in the Philippines. They are luxurious. They have guest cottages on stilts set above the crystal clear ocean waters. Go island hopping at Honda Bay, which has several islets with shallow reefs, magnificent white sand beaches and small resorts. Snorkeling, swimming and diving are some of the favorite activities in this island. Explore the underground river of Puerto Princesa Subterranean River National Park, which features different stalactites and stalagmites formation. The neat thing about this river is that it flows directly to the sea. It also features a limestone karst landscape. Palawan remains unexplored in most part and the people along with the government is trying there very best to make sure that the preservation of the diverse ecosystem is implemented. Cebu is the most popular destination in the Philippines for tourists. It is known as the Queen City of the South and is the second largest city in the country next to Manila, but without the hustles, its cleaner and less congested. Cebu is rich in history and places of historical significance. It is beautiful and the people are absolutely wonderful and friendly. Cebu is an awesome city to explore if you’re into historical sights. Being the oldest city in the country, it has a lot of old structures to visit such as churches, fortress, and the famous Magellan cross – which symbolized the birth of Christianity in the Philippines. Around the island are 167 islets and islands bordered with idyllic white sand beaches, pristine waters, and swaying palm trees—perfect picture of a tropical paradise. Water sports activities such as snorkeling, swimming and diving are a daily part of life on the beach. The waters of Cebu are home to fascinating coral reefs, anemones, sponges and colorful reef fish. Just like in Palawan, you can dive to see old shipwrecks. Cebu offers some of the best resorts in the country. If you just want to relax under the swaying palm tree and have a sip of your favorite tropical drinks or go for a little swim and catch the amazing sunset on the horizon, Cebu is a wonderful place to do all that. Foreigners are making Cebu their second home. It has all the conveniences they’re looking for in a city and the beaches are only minutes away. It is perfect for nature trekkers who like to enjoy the natural beauty of the island and admire the tropical vegetation, wildlife like the butterflies, monkeys and lizards, and a beautiful waterfall along the way. Cebu has a lot of caves to explore with stalagmites formations and fresh spring water to swim. Boracay is located in the Northwestern tip of Panay, in the West Visayan Island. They are known for its white powdery sandy beaches and clear blue waters. It is labeled as the “finest in the world.” The 4km. stretch of white beach is like no other. Boracay was voted as the world’s best beach according to Sun Heralds, Australia and Harper’s Bazaar. It is a very popular destination for beachcombers and laid-back people, who just want to relax, enjoy the breeze, have a book on one hand and a tropical drink on the other. The ideal place to relax without having to deal with the crowd is in the north, for it is more secluded. However, if you’re water sports enthusiasts who likes to go scuba diving, snorkeling, swimming, parasailing, windsurfing, canoeing, kayaking, sail boating and jet skiing, this is the perfect place to experience all of that and some. Boracay is known for its excellent underwater marine life. And for the nature lovers out there, you can go mountain climbing, hiking, biking, island hopping and horseback riding as well. While you’re on the island, don’t forget to climb up Mt.Luho to get a 360-degree view of the whole island. The steep climb could be a challenge, but it’s worth every step as you reach the top. When you’re done conquering Mt. Luho, pamper yourself to a relaxing treatment at the Mandala Spa. It’s a great place to relax and get massages for a fraction of the price you pay in the US. Another thing you can do is going shopping and haggle with the street vendors. They have nice merchandise to take home with you as souvenirs. At the end of the day, head on back to the beach and watch the magnificent sunset of red and orange hues reflecting in the waters of Boracay. Dining in Boracay is excellent. Try enjoying your meal with a beachfront view while you savor the taste of freshly cooked seafood. Most of the resorts offer a variety of local and international cuisine such as Italian, Japanese, Swiss, German, Austrian and Thai cuisine to satisfy every tourist of different nationalities. Altogether, Boracay is an experience that you’ll enjoy. While the Philippines has other beautiful places to visit, these are three that you just can’t go wrong with. Last but not least, when visiting Boracay and other areas, bring plenty of PhP50 and PhP20. Most locals can’t make change for denominations higher than PhP50. Also, safety deposit boxes are available at the Tourist Center of Boracay.